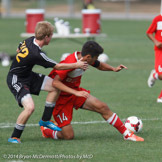 Pictures from three days of games at the Region III Presidents Cup. Games took place in Decatur, AL. Of course, the Georgia teams and referees are featured!